LIV KRISTINE announces the support act for her solo shows in december. 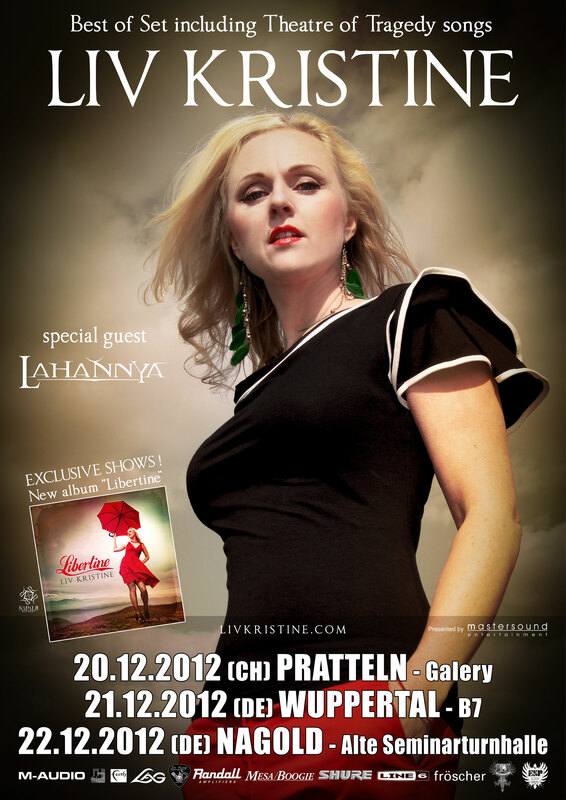 I am really happy to announce that LAHANNYA will support LIV KRISTINE at our three up-coming solo shows in December. Moreover, I have more good news for all Theatre of Tragedy fans: Lutz Demmler (ASP, Lahannya, ex Umbra et Imago) will be my special guest! We will perform a legendary duet many of you will remember from 1996: Tanz der Schatten! This will be a very special night with LIV KRISTINE and LAHANNYA!